How do I implement a feedback to keep the DC gain at zero for this conceptual passive filter? For ease, I showed the above plots in linear Bode plot instead of dB. 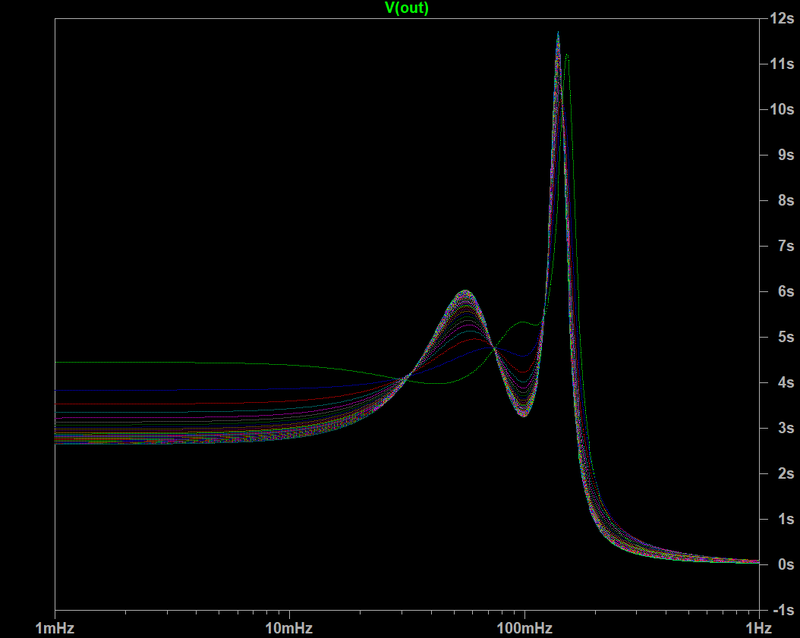 So 1 V corresponds to 0 dB. I'm not trying to build a filter so this is just out of curiosity. The Rload resistance forms a resistive divider and causes attenuation. If Rload was known to be 1 ohm then I could add a gain stage with a gain of two and compensate for the attenuation. But if Rload is not known and there is no buffer, can there be a feedback between the input and the output which would prevent any DC gain attenuation? In other words such a feedback which would set the DC gain to zero regardless/varying of Rload so that the frequency response will start from 0 dB at DC. 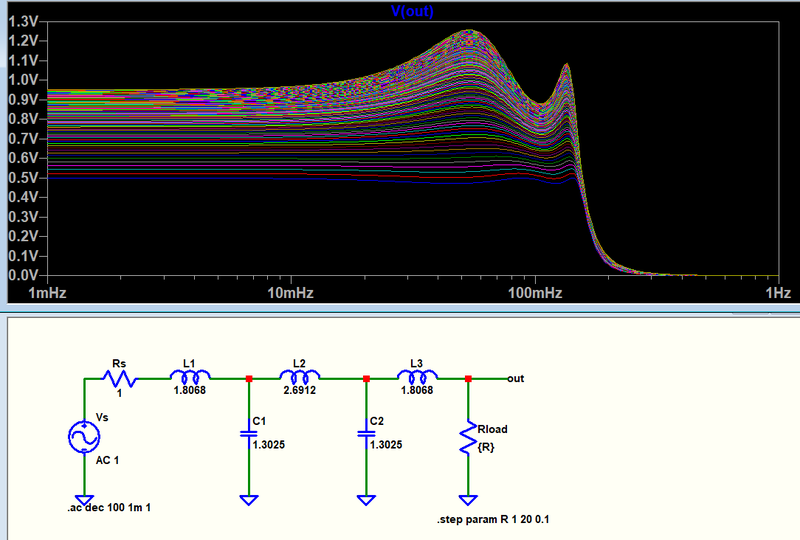 How could that be realized with any behavioral elements (like VCVS) or op-amps in LTspice or any other simulator? I thought the load resistance has no effect on any filter characteristics besides DC gain. Could you also expound on this? Your filter has an output impedance. The load impedance interacts with that output impedance to create a voltage divider. If you want to eliminate that dependence, then you need a simple voltage follower (buffer). 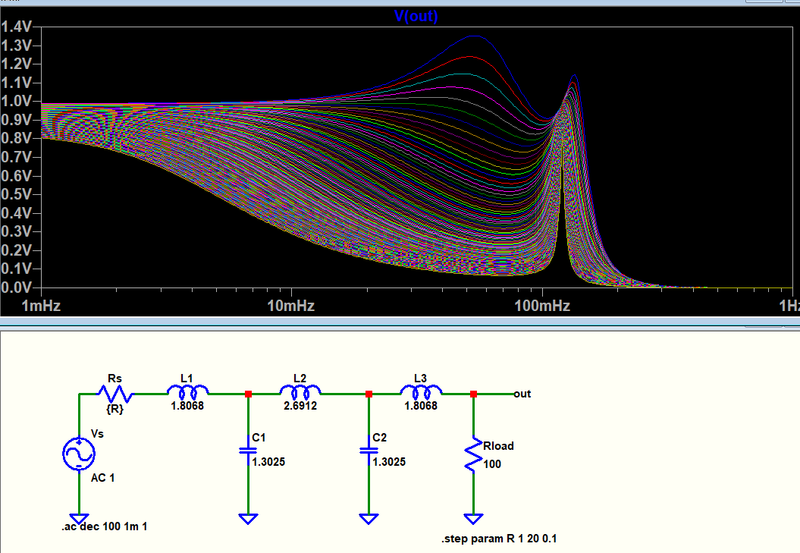 Connect the "nominal" load impedance to the filter, then use a VCVS as an "ideal buffer", controlled by the voltage across that load. The output will be independent of whatever load you put at the VCVS output. 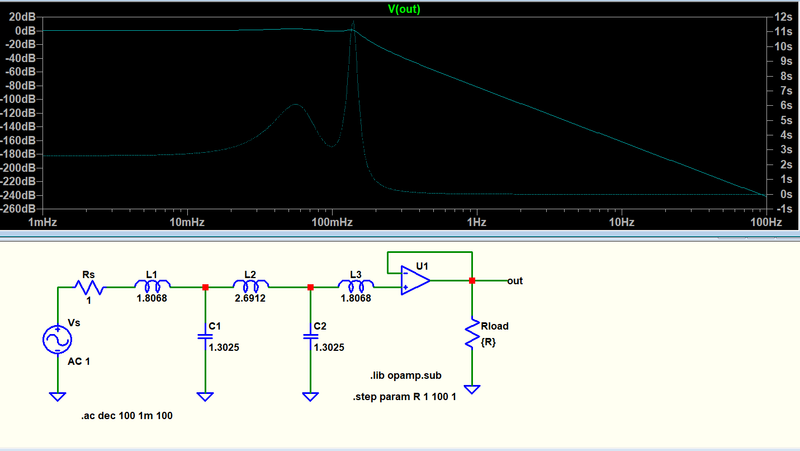 In the real world, use an opamp voltage follower (unity gain). Simply put, passive filters interact with loads and sources (as you have found). Adding feedback makes it (overall) an active filter. The suggestion of putting a buffer amplifier on the output is probably a good one. It'll be easy at frequencies (like the 0.1Hz of your filter) where you can use op-amps, far harder at microwave frequencies. If you wanted a lossless filter at DC then the source impedance must be 0 at DC for a fixed load OR no load, but then not matched impedance. If you wanted a maximally flat input impedance from DC to almost f -3 dB then it must be a -6 dB lossy Cauer (aka Bessel aka elliptical) filter with the impedance matched at source, filter and load. If you compute a ladder filter, you can see it is not maximally flat and has ripple without AND with load. Active filters have effectively 0 source impedance so they can be made into lossless at DC or with gain. The grid has almost zero source impedance, so what does this say about impedance effects on the network? Is it an accurate model? 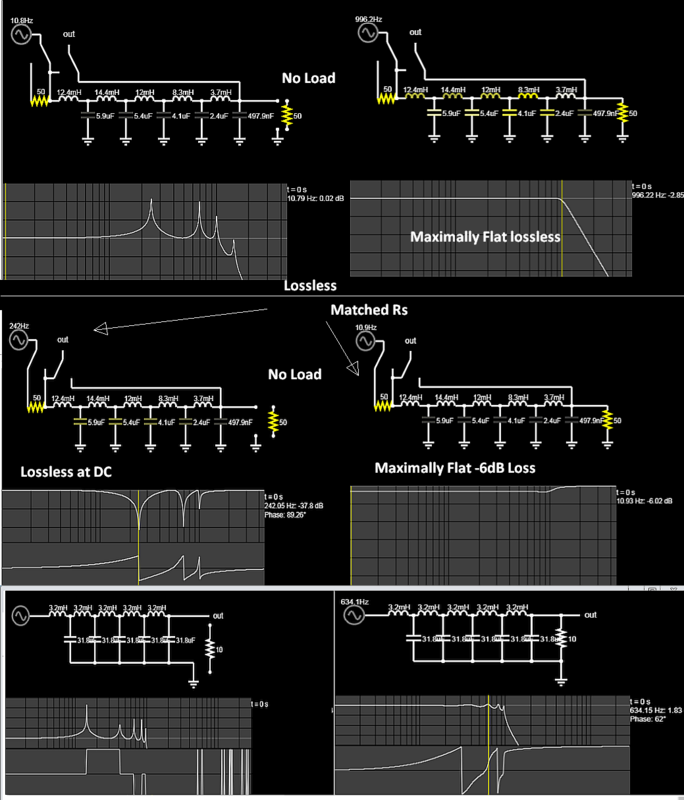 Do you need a flat input impedance and lossless at DC? If so, then you choose an active Bessel Filter. Not the answer you're looking for? Browse other questions tagged feedback passive-filter or ask your own question. Barkhausen criteria: which is the overall effect if only the magnitude criterion is met? What is noise gain, really? And how is it determined in the general case? Why has this configuration chosen for feedback? Ladder filter without termination resistor? How does the feedback in this circuit work? Why is the gain of feedback amplifier Vo/Vs?